In this unforgettable musical experience, audience members will enjoy reliving hits and highlights from musicals such as Chess, The Phantom of the Opera, Les Misérables, Blood Brothers and Chicago. Two of the greats of Australian musical theatre, Rachael Beck together with Michael Cormick returning from recent, major success in London’s West End. The show brings their enormous talents together for stirring renditions of memorable musical theatre hits. Michael and Rachael were the original leads in the Australian tour of Beauty and the Beast, and You and I gives them the chance to grace audiences once again with their wit, charm and stage presence. 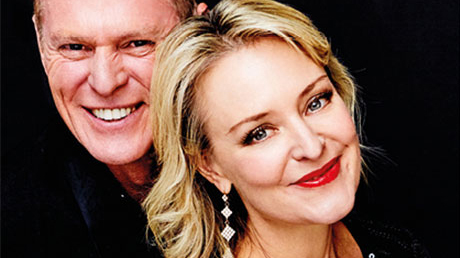 Accompanied by the wonderful David Cameron on piano, Michael and Rachael will delight guests and leave no doubt as to their status as two of Australia’s finest musical theatre stars.